PC gaming can feel like a game of catch up with games requiring every increasing requirements in order to run at their maximum potential. This makes desktop PC’s more preferable due to the ability to upgrade them slowly over time and so reduce your initial start up costs. 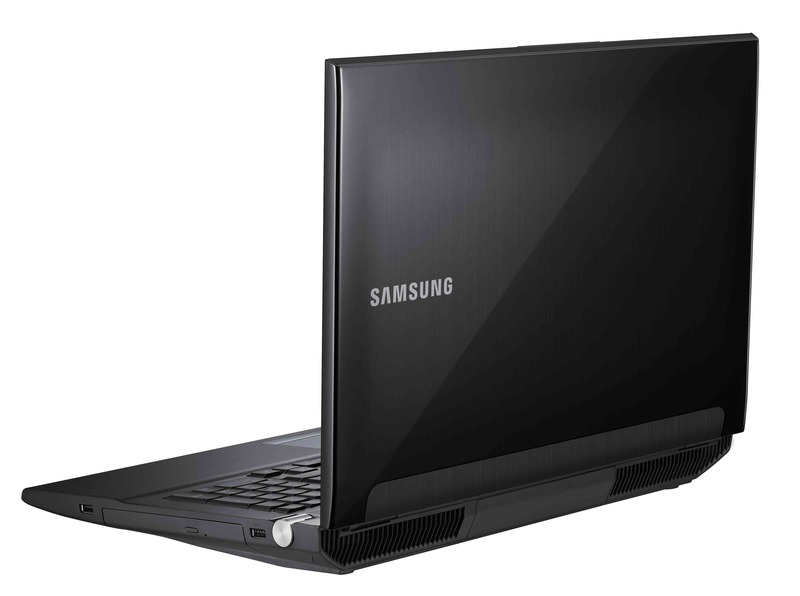 Now though Samsung have entered the Series 7 Notebooks to help make the portable computer a choice for your gaming experience. With a high spec package (click the specs link below for the full run down) this 17.3inch gaming platform can fit the bill for running most of the high spec games available on today’s market. This is achieved with a simple to use mode dial which can increase the performance of the notebook to its optimal for gaming. Speaking of the display it runs twice luminescent as most normal laptops, this helps you to have better visual acuity when playing, and more importantly will be the ability to alter the position of the screen without losing the quality of light. An adaptable screen will allow you to alter your position and so reduce the pressure on your neck and shoulders* while playing, making the laptop more suitable for gaming but also for long use while working. This kind of thought is what we need to make a portable platform viable for gaming. This all sounds very promising and we will have some hands on time at the Euro Gamer exhibition in order to test if this really is a viable choice for your gaming experience.